India’s largest solar power project will be commissioned in a fortnight. Moser Baer’s 30-MW project in Patan in Gujarat is likely to be commissioned by the end of this month or in the following week. 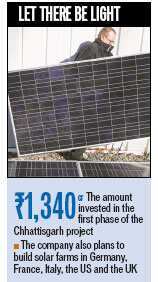 The twin solar projects at Patan of 15 MW each have entailed an investment of around R450 crore. “The combined capacity of our projects in Patan makes it by far the largest solar project. Many projects with similar size and slightly larger ones are coming up, but they make take time,” KN Subramanium, CEO, Moser Baer Solar Systems . “The Photovoltaic project using thin film technology is expected to give better yield. This requires 7-8 acres for generating one megawatt depending on technology of thin film and land profile available at a specific site,” he said. According to him, the Patan project will remain the largest in solar sector in the country at least till the end of this year. Recently, major electricity distribution company Torrent Power Ltd, entered the solar sector and is building a 50 MW project in Gujarat. India is on track to produce 700 megawatts of solar power at a cost of $2.2 billion by December, ahead of an initial target for an ambitious plan that seeks to boost green power generation from near zero to 20 gigawatts (GW) by 2022. Under India’s Solar Mission , investors bid to build solar power plants and the winning bids are determined by the electricity tariff that they accept as viable. Such has been the interest that the government has been flooded with investment pledges for the first batch of projects rolling out in December. 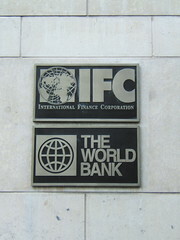 India’s 20 GW solar plan is likely to attract overall investment of about $70 billion, the government has estimates. Issued in 2009, the plan envisages India producing 1,300 megawatts (MW) by 2013, another up to 10 GW by 2017 and the rest by 2022. “The entire solar industry is no longer worried about the upheavals that are taking place in the European markets because they find a very new and very promising market is developing in India,” said Debashish Majumdar, chairman and managing director of Indian Renewable Energy Development Agency. IREDA, a state-run agency, is the leader in the country’s solar energy financing. “So far, every year the general mood was that nobody knew what would happen to the German policy or what would happen to Spanish policy,” said Majumdar, who attended a global summit on clean technologies in Munich last week. Germany , the world’s top solar power producer with about 17 GW installed by end-2010, is considering cutting incentives for photovoltaic energy by an additional six percentage points in another step on March 1, 2012. Germany, Spain , Italy, Japan and the United States are the leading producers of solar power in the world. While India’s solar sector remains a risky venture because of a shortage of data and trained manpower, such deficiencies also open up a huge market for expertise and technology such as Colorado-based Juwi Solar, Schneider , Schott Solar. “The (Solar Mission’s) second phase would create a very large market for service providers, especially EPC contractors and people who can analyse data to ascertain how much resources like sunlight are available and how much (solar energy) is going to be produced,” Majumdar said. “These agencies would get lots of business,” he told the Reuters Global Energy and Climate Summit in New Delhi, adding it was still not possible to determine the size of such a market. EPC contractors handle the engineering, procurement and construction of solar power plants. If everything goes to plan, and the rollout of the first projects in December should be an indicator, solar would contribute the equivalent to one-eighth of India’s current installed power base by 2022.